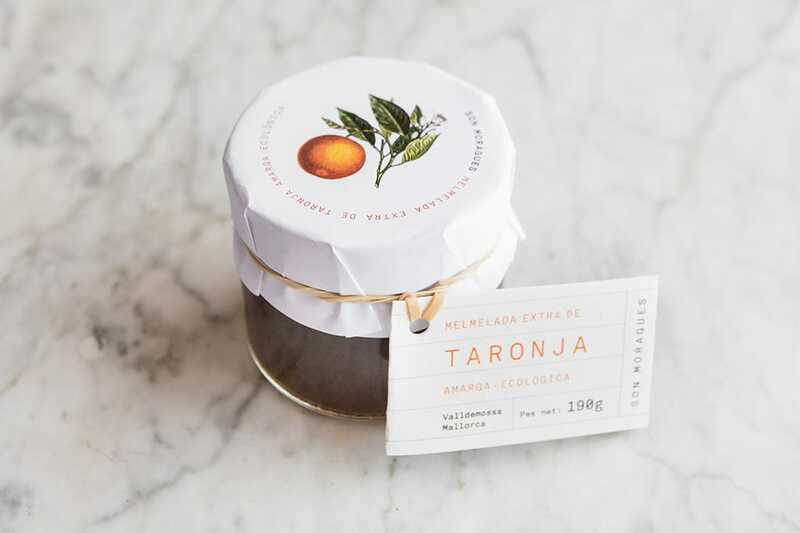 THE JAMS AT SON MORAGUES are made in the traditional way using original recipes, without substitutes or additives, using only the same ingredients that have been used for centuries: fresh fruit or vegetable, natural pectin and organic sugar. No more, no less. No colourings, no flavourings, no preservatives, no synthetic additives of any sort. They are prepared in small batches, each one with the utmost care. 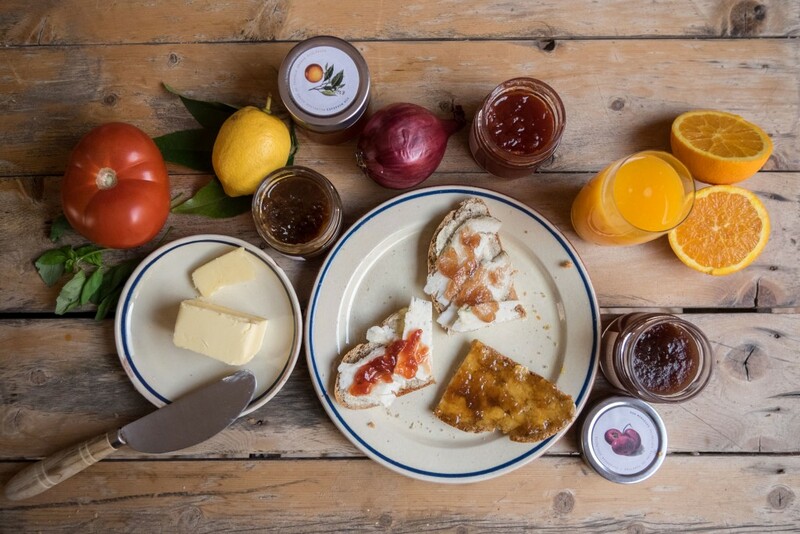 Our mediterranean extra jams are of the highest quality and contain at least 60% fresh fruit, that is 15% more than the minimum level required by the European Union to qualify as “extra jam”. 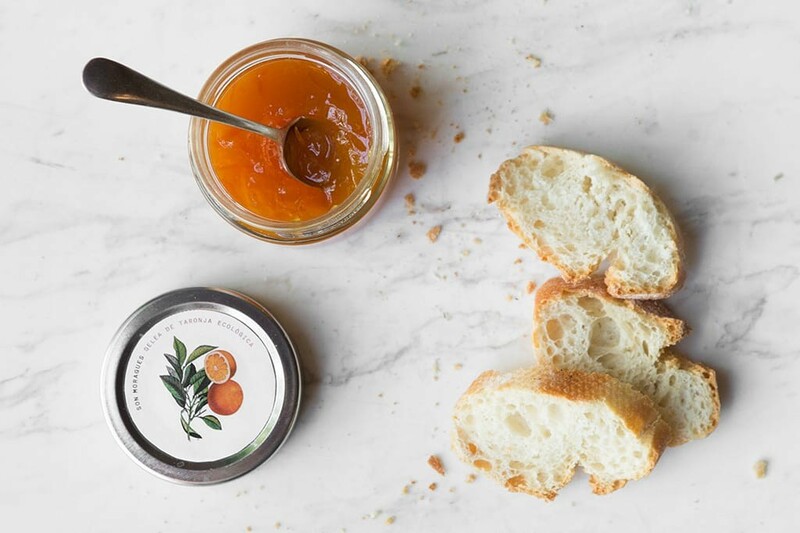 Originally from Great Britain, marmalade is a true delight for its many fans. On thin slices of hot toast or mixed in to sauces and marinades it popularity is rising all over the world. 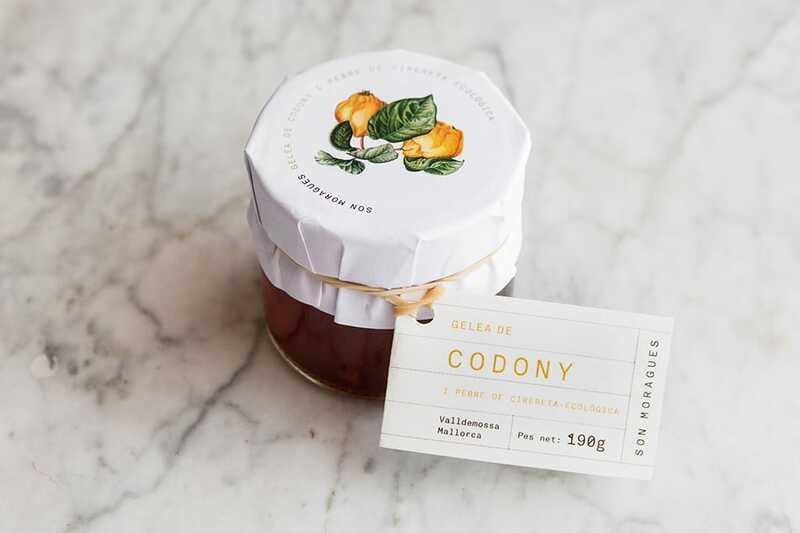 Our marmalade is especially sweet and rich in tones with the bitter touch of the caramelised skin. The traditional Valldemossa tomato is among the tastiest, sweetest and juiciest tomatoes in the whole world. It was a very popular and prestigious variety years ago, but due to its thin skin and the consequent difficulty to market it industrially its popularity waned during the 20th century. At Son Moragues we made a stand for these tomatoes, and luckily, today they have regained the importance they had over a century ago. 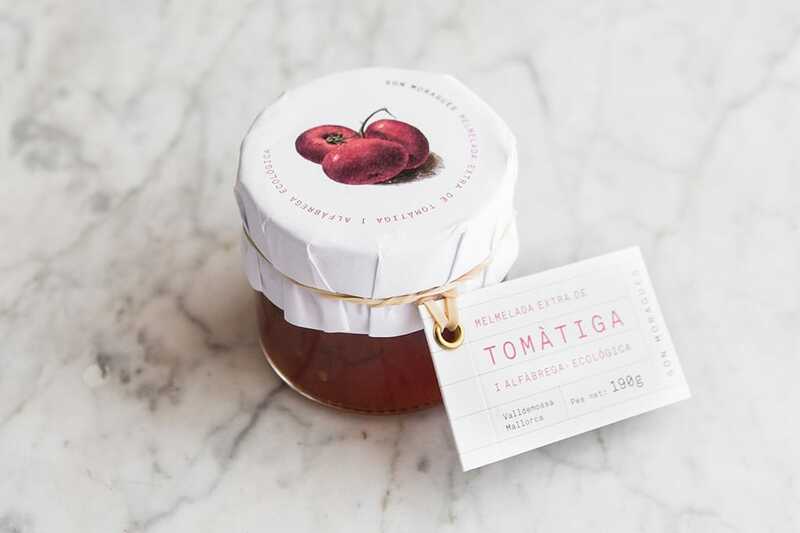 We decided to combine tomato with basil to make a fresh and subtle flavoured jam with an enveloping aroma, ideal as an appetiser with assorted cheeses, on toast with ham and Camembert or combined with salads or carpaccios. Purple onions have been grown in Son Moragues for over 200 years and they are still one of the star products of our vegetable patch. 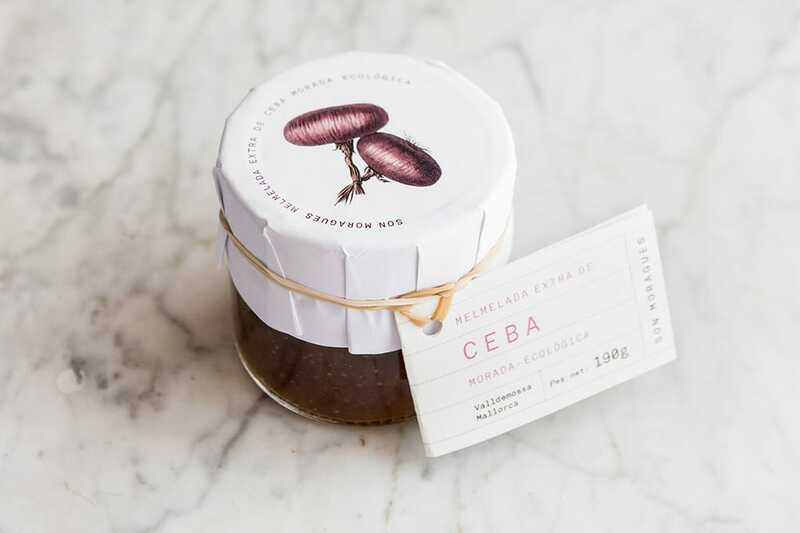 Its sweet and aromatic touch sets it apart from other varieties and makes it ideal for making a subtle, delicate jam with a touch of spicy sweet. The perfect jam to give a creative touch to any number of original recipes and improvisations, from burgers to red meats and cheeses. Quince is the star attraction of our orchard in autumn. Ripened with the last rays of summer sunshine on the terraces of our orchard and harvested by hand, the fruit is used to make this exquisite quince jelly. Smooth and light in texture, sweet but with a hint of tanginess, it is ideal for creating contrasts of sweet and sour flavours: in appetisers or as the perfect accompaniment to all manner of cheeses, whether soft, blue or cured cheeses. It is also delicious in combination with poultry dishes or in salads with dried fruit and nuts. 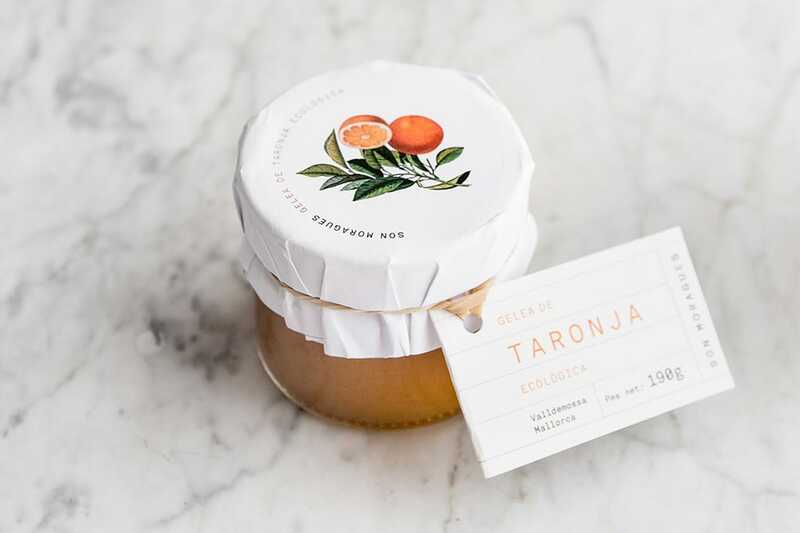 Made with the queen of our citrus fruits, this delicate orange jelly is characterised by its light texture, sweet flavour and a subtle hint of bitterness provided by its fine peel. For the more classically-minded it is an indispensable feature of breakfast tables and a great ally in traditional baking, as a filler for cakes and biscuits and a lender of subtle flavours to sponges. For the more adventurous it can make a surprising ingredient in cocktails and drinks.